I got a brand new Hykker X Range keyboard as a gift. Its click and clack sounds are nice. It turns out that I love mechanical keyboards and won’t replace my Hykker X Range for any non-mechanical keyboard, especially for typing shitload of code and full of hate emails. This two years period was really great, especially it helped me a lot with my wrist pain. My fingers weren’t swollen after 8 hours of working anymore which was a significant accomplishment. 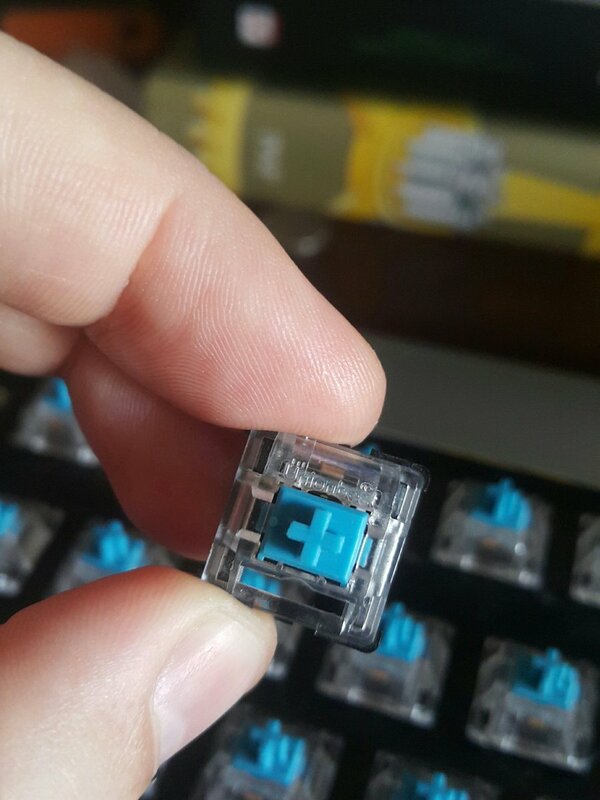 Now, after two years of click and clacks which can rise from the dead, it’s broken. The space key is not working at all. Few others, like tilde, are hanging up sometimes and then I need to push them harder. I thought this is just a human feature, but it looks like pushing harder applies to switches as well. Because of my laziness, I haven’t considered buying the second keyboard so far, especially this model isn’t longer available in Biedronka. Primal soldering skill woke up inside me and told me I need to fix the keyboard on my own. I took off the back cover which required screwing off few front screws. It turns out that the USB cable is attached to PCB by 4-pin plug. Plug helps to test keyboard without the back cover, it would be much harder with soldered cable. I was worried the problem is related with broken tracks on PCB. It would be a nightmare if I have to look for every single break. Luckily for me, the PCB is fine and just specific switches are broken. I tested them by pushing and checking with outcome on the terminal which was savage but effective enough. Broken parts were marked with… blue, permanent marker. Clever, huh? I had to desolder them (there are just 2 pins for each) and remove from board. I have tried to fix the switch directly - because of the construction, it’s simply two pieces of copper-like metal pushed by the key part (the blue one). It helped for a while, but after several clicks they started to hang up again. My time isn’t worth to fixing them in next few weeks. There are plenty of switches out there. Especially the Aliexpress. 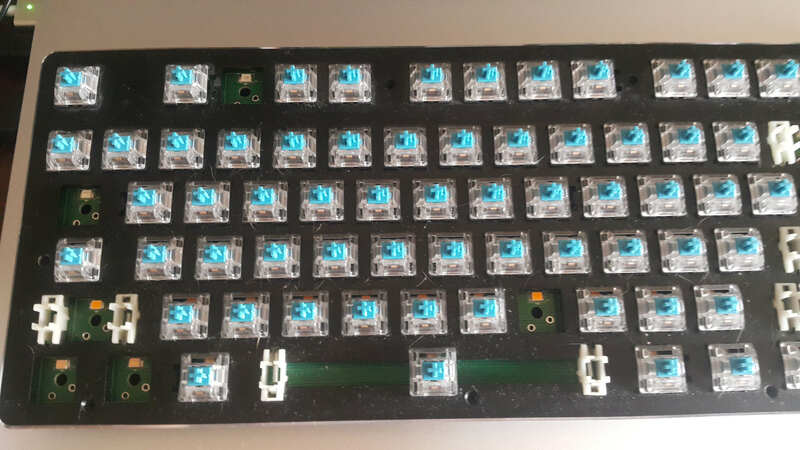 I have ordered around 20 switches which costs me $10, including shipping. Not a big deal but it is going to raise the keyboard value by 40%. I am waiting for the delivery, probably will receive it after the next week. Will let you know how the soldering and rest of the assembly stuff will go on.